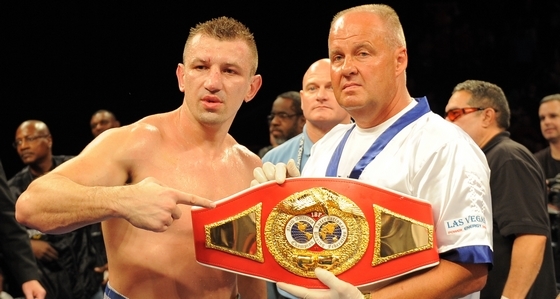 Former two division world champion Tomasz Adamek (48-2, 29KOs) has yet to decide on his next opponent. Rumors have been swirling but the Polish star says none of them are true. His team is speaking with several possible candidates. Adamek has been out of the ring since last December's split decision win over Steve Cunningham. He has already been training for the last month and plans to step things up this week. "After the fight with Cunningham I announced that I would take an extended break from boxing to [relax from] the rapid pace I was going at for several years in the United States. The break was designed to regenerate my body after so many battles and to create my hunger to box again. I have achieved those objectives. I've been training for a month with trainer Roger Bloodworth. The media has repeatedly portrayed several opponents. I myself have said many times that I will personally provide the information when a fight contract, signed by both parties, is on the table. Unfortunately, to this day, despite many promising negotiations with the promoters of several top fighters, no contract has been signed," Adamek said.